Combining luxury features with aggressive performance specifications and high-tech safety features, the 2019 Chevrolet Suburban is the large SUV that you've been waiting for. 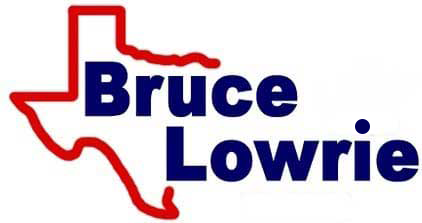 If you're a new car shopper near Arlington, Texas, don't hesitate to visit Bruce Lowrie Chevrolet in Fort Worth to learn more about this new SUV! Motorists can also put our interactive website to use to shop the trim models that are included in the lineup. Contact us with any questions that arise! End your search for a road trip companion, head to our new and used Texas Chevrolet dealership today! This new 2019 large SUV for sale boasts the aggressive performance specifications that auto shoppers are looking for, what with its 355 horsepower rating and 383 pound-feet of torque. With a max tow rating of 8,300 pounds and a 5.3-liter EcoTec3 V8 engine, you can rest assured the Suburban is able to take on all your on-road demands as well as any challenges the road puts in your path. Our Chevrolet dealership near Arlington, Texas, can help you finance the Suburban model that you deserve, so feel free to visit our on-site finance center or complete one of our credit applications online. This versatile new SUV for sale can be equipped with a number of active safety systems, which allows motorists to customize their new car purchase to suit their wants and needs. Contact our Chevrolet sales department to learn about the options that are available, such as the Safety Alert Seat, Forward Collision Alert, Low Speed Forward Automatic Braking, and Rear Cross Traffic Alert. While your 2019 Suburban works to keep you safe on the road, Chevrolet Complete Care works to protect your SUV! Let our associates introduce you to all that is included in this comprehensive warranty, get in touch with our Bruce Lowrie Chevrolet staff today. End your search for a high-performing vehicle that has seating for up to nine and boasts a maximum cargo volume of 121.7 cubic feet, head to our Fort Worth, TX Chevy dealer to meet the 2019 Suburban family!